Discover our piano sheet music for "City of Stars", the big hit from the 2016 musical "La La Land." Performed by actors Ryan Gosling and Emma Stone, the song was written in 2016 by the American film composer and television writer, Justin Hurwitz. Thanks to our progressive offer, you’re bound to find a score that’s best suited to your playing ability. Beginners who have trouble reading music will especially appreciate the easy piano music sheet with note names. 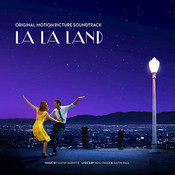 "City of Stars" won numerous awards, including the award for Best Original Song at both the Golden Globe Awards and the Academy Awards. For this title, the publisher did not agree to us writing our adaptations using the Noviscore pedagogical method, but insisted that we use the composer’s own arrangements. Although our sheet music would have been different, we prefer to give you the benefit of this title, with our style, layout and reading aids, rather than you missing out. Due to copyright restrictions, this title is not available for sale in your country.